Our OUTSTANDING faculty and INNOVATIVE curriculum prepare you to compete for a job and sit for the CPA exam. Get a QUALITY education at AFFORDABLE investment! 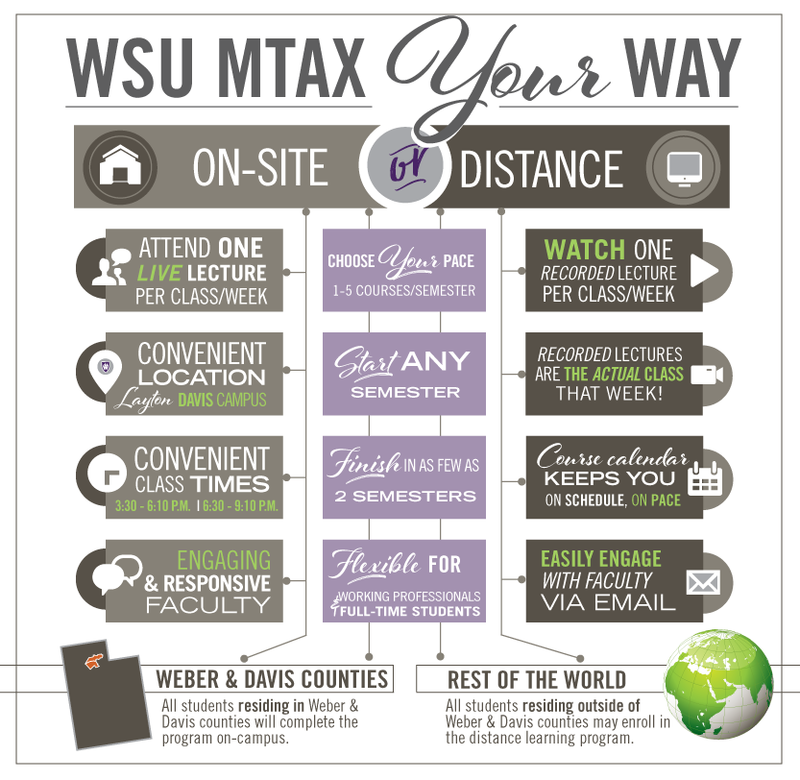 Weber & Davis students attend ONE live lecture per class per week at the CONVENIENT Davis campus with faculty who are both engaging & responsive. All distance students watch ONE actual class recording per class per week. Easily ENGAGE with faculty via email. Course schedule keeps you ON SCHEDULE, on pace!